Scalp acne can be a real botheration. It is painful and moreover it can trigger hair fall. If not treated at the right time, scalp acne can take a pretty bad shape and can cause serious scalp problem. To control the problem of scalp acne, a proper shampoo can do a great job. So, if you are suffering from scalp acne, here is a list of the Best Shampoos For Acne Prone Scalp. Sebamed Everyday Shampoo is not exactly a shampoo formulated for treating scalp acne, but still it manages to be one of the most effective shampoos for acne prone scalp. 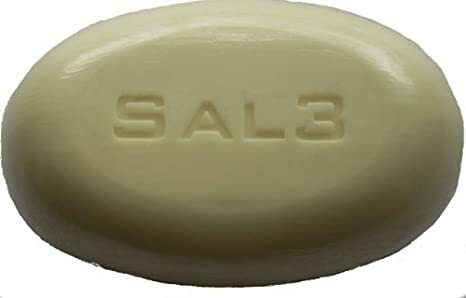 This soap and alkali free shampoo helps in cleaning the scalp and hairs without making them dry or irritated. It also helps in rebalancing the natural pH of the scalp, which invigorates the normal protective mechanism of the scalp. So, though, Sebamed Everyday Shampoo is not a shampoo specially formulated for acne prone scalp, it is quite effective for treating scalp acne. This shampoo has moisture retaining properties that ensures the best for your hairs and scalp. This product is ideal for sensitive scalp that is prone to acne, dandruff and itchiness. This shampoo has been particularly formulated to treat scalp problems like scalp acne, pimples and zits. It is one of the most expensive products in the list of the Best Shampoos For Acne Prone Scalp but it is also claimed to work miraculously. This shampoo has all natural formulation and is completely free from mineral oil, harsh chemicals and parabens that can irritate the sensitive scalp. This scalp acne shampoo comes with a unique anti-inflammatory and anti-bacterial formula that helps in drying out the existing scalp acne and also prevents the future breakouts. This shampoo contains effective natural ingredients like tea tree oil, safflower oil, saw palmetto and borage seed oil which helps in clearing the scalp infections and also promote scalp health. Buildup in the scalp is often a reason of scalp acne and pimples. 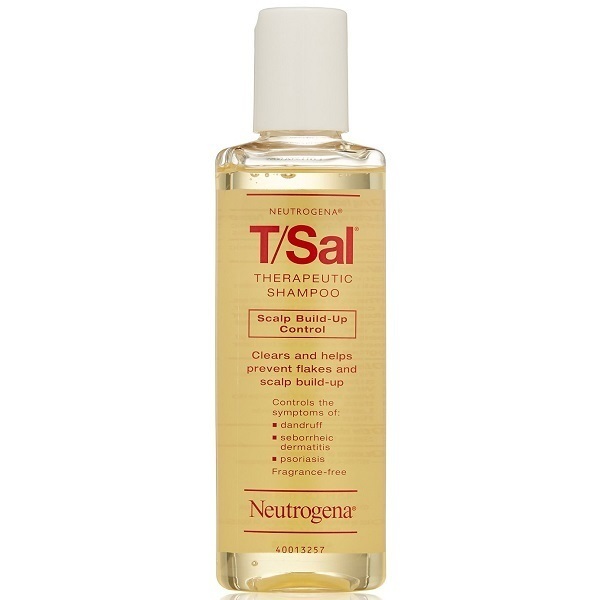 This Neutrogena T/Sal Therapeutic Shampoo has been specially formulated for clearing scalp build up and restoring the scalp in its normal condition and hence it is considered as one of the Best Shampoos For Acne Prone Scalp. This dermatologist recommended product relieves itching and flaking apart from helping in controlling the scalp pimples. This shampoo is formulated with salicylic acid which is well known for being effective in curing acne and pimples.The product is free from fragrance as well as preservatives which make it ideal even for the sensitive scalp. 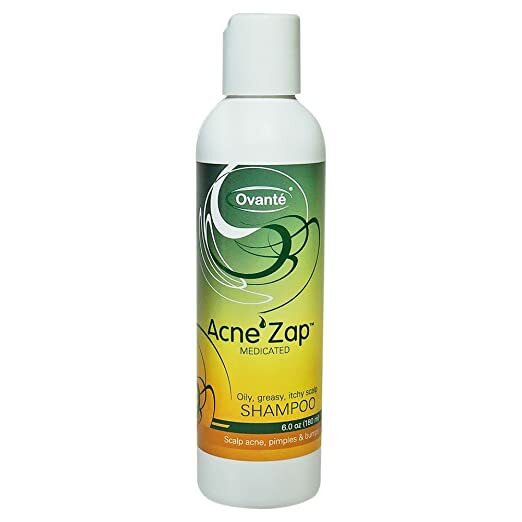 This Acne shampoo helps in clearing the excess oil from the scalp and also reduces the oil production on scalp. Excess oil often works as one of the primary reasons of scalp acne and hence by controlling the oil on the scalp this shampoo helps in acne control. This shampoo lathers well and helps in clearing off all the buildup from the scalp. It leaves hairs clean, shiny and fresh. It has got some great reviews by the users and is ideal for spot treatment on scalp acne as well. However, regular use of this shampoo can be drying for the hairs. So it is recommended to also opt for a hair serum or conditioner, if you are using this treatment continuously for a long time. If you have been fighting scalp acne and nothing seems to work, the ANTI-b Antibacterial Shampoo can actually be of help. As the name suggests this antibacterial shampoo helps in killing all the infection causing bacteria and fungus on the scalp, giving you rid from all the scalp problems including acne, dandruff, flakes and even ringworms. This one of the Best Shampoos For Acne Prone Scalp is known for its strong anti-microbial, anti-fungal and anti-inflammatory properties and is loaded with a bunch of natural ingredients that fight infections without harming the scalp health. ANTI-b Antibacterial Shampoo has been formulated with ingredients like lemon essential oil, witch hazel and Aloe Vera. All these ingredients treat acne and also promote scalp health boosting the natural protective mechanism of the scalp. As the name suggests this shampoo is particularly formulated for degreasing the scalp and hairs but at the same time it is effective in treating scalp acne as well. It removes all the buildup and excess oil from the scalp, leaving it clean and breathable. This shampoo also helps in restoring healthy sebum production on the scalp and helps the scalp to get back to its healthy pH, which invigorates the natural protective mechanism of the scalp. This clarifying treatment includes ingredients like lemon essential oil, jojoba and rosemary extract which not only help in eliminating scalp infections but also hydrates the hair follicles for healthy hair growth. This tea tree oil shampoo is a natural formulation that can help in fighting any type of scalp infections including scalp acne, pimples, dandruff and flakes and hence takes a prominant place amongst the Best Shampoos For Acne Prone Scalp available in the market. This shampoo helps in killing the infection causing microbes in the scalp and removes all the buildup efficiently, letting your scalp breath again. The formula hydrates the scalp and helps in locking moisture, which encourages healthy scalp and hairs. This shampoo is also known for its ability in promoting hair growth and stopping hair loss due to its unique formula. This Tea Tree Oil Shampoo includes natural ingredients like organic lavender extract, rosemary essential oil apart from tea tree oil, which promotes a problem free scalp naturally. If you are suffering from any type of scalp infection, including scalp acne, derma e Scalp Relief Shampoo can be an all-round solution for your problems. This shampoo cleanses, soothes and nourishes the scalp which helps in restoring the natural moisture and pH level, promoting a healthy scalp, free from infections and problems. This shampoo has been formulated with salicylic acid which helps in clearing acne and flakes as well as buildup on the scalp. Tea tree oil present in its composition also help in killing the acne causing bacteria. The product is completely free from sulfate, paraben, gluten, lanolin and mineral oil which make it ideal even for the most sensitive scalp. 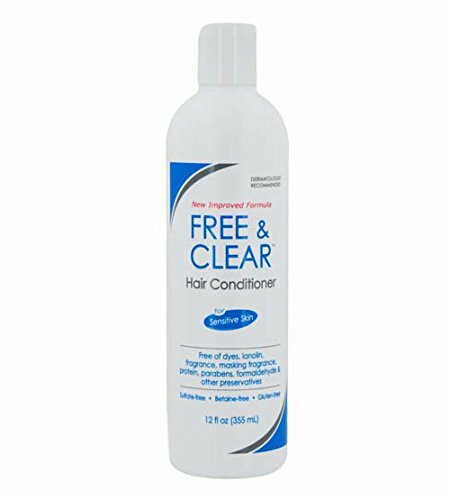 Free & Clear Hair Shampoo is ideal for treating scalp acne when it is caused mainly due to excess oil or sebum secretion in the scalp. This shampoo helps in clearing off the buildup in the scalp and controls the oil production to a great extent. However, on the other hand, unless you have a very oily scalp, regular use of this shampoo can cause scalp dryness. So, pick Free & Clear Hair Shampoo to treat your scalp acne only when it is caused due to excess oil on the scalp. It is also recommended to use the shampoo along with the conditioner to fight any dryness. This shampoo is also ideal for treating dandruff and flakes. The formulation is free from parabens, formaldehyde and preservatives which make it ideal even for sensitive skin. This effective therapeutic shampoo for treating scalp acne comes in a bar form and all you need to do is to rub it on your scalp and hairs in the shower to form the rich lather. This one of the Best Shampoos For Acne Prone Scalp is ideal for treating problems like scalp acne, dandruff and flakes. It delivers the active ingredients in an effective way and cleans up any buildup on the scalp efficiently. This bar format shampoo contains 3% salicylic acid and 10% Sulphur which helps in clearing off the acne break outs and also controls the excess oil on the scalp. This high strength shampoo bar helps in solving more or less all the scalp problems and promotes healthy scalp. There can be different reasons behind scalp acne. If you have excessive oily scalp along with flakes or dandruff, the chance of getting scalp acne is no doubt high. Often products used on the hairs lead to scalp build up resulting into blocking of pores, which subsequently get infected by bacteria and gives rise to scalp acne. 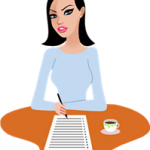 Using a hair care product that does not suit you can also be a common cause of scalp acne. Often use of chemical filled shampoo causes scalp irritation, resulting into scalp acne. A sudden change in the hormonal balance of the body can also trigger scalp acne. So, if you are suffering from scalp acne, it is important that you maintain the following things apart from using a suitable shampoo for acne prone scalp as mentioned in the Best Shampoos For Acne Prone Scalp above. Choose only organic, sulfate and silicone free products for hair care. 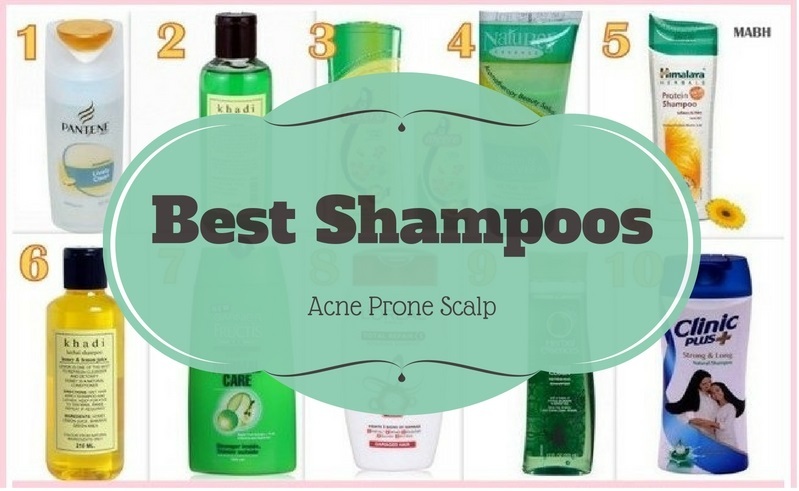 Pick a suitable shampoo from the list of the Best Shampoos For Acne Prone Scalp. Minimize the use of chemicals on your hairs. If you have started to experience scalp acne after using a particular hair care product, discard it immediately. Maintain the best hair hygiene. Wash your hairs routinely, let them get dry properly, use only fresh towels and comb on your hairs. Do not touch your hairs with dirty hands and make it a point to wash your hairs at least with plain water after every work out or heavy sweating. Learn ways to manage stress and anxiety, as these things can trigger a sudden hormonal change in the body which can result into scalp acne.